ATLANTA – Atlanta-based Friends of Disabled Adults and Children, Too! (www.fodac.org), is coordinating a community effort over the next two weeks to provide much-needed non-perishable medical supplies and relief items to the victims of Haiti’s recent earthquake. FODAC is collecting blankets, crutches, walkers, orthotic braces, wheelchairs, bandages, medical gloves, etc. at the organization’s warehouse in Stone Mountain, Ga. The items will be shipped to Haiti within the next few weeks. FODAC is partnering with Portlight Strategies of Charleston, S.C., (www.portlight.org) and the Weather Underground (www.wunderground.com) to ship and distribute the items. Thanks to funding from the Weather Underground, Portlight Strategies already has staff in Haiti to coordinate the distribution effort, as well as a truck packed with supplies, en route to Haiti now by ship. Thanks to Portlight Strategies, the distribution component of the program has been confirmed. Portlight Strategies was already in the process of collecting and shipping supplies to Haiti. The organization has a relief coordinator on-site and through partnerships with Catholic service agencies on the island they have the distribution network necessary. They have begun shipping supplies to Haiti, with more shipments scheduled. The donations collected by FODAC will be incorporated into these shipments. FODAC owns a 64,800 square-foot warehouse at 4900 Lewis Road in Stone Mountain. The Pattillo Companies of DeKalb County has offered additional warehouse space, if needed. Citizens may drop off supplies between 9 a.m. – 5 p.m. Monday through Friday and from 10 a.m. – 4 p.m. on Saturday through Feb. 6. After that date, donors are asked to call FODAC at 770/491-9014 to learn if the organization is still accepting donations for Haiti. Donations of wheelchairs and other mobility equipment for distribution in the U.S. are accepted year-round. Directions to the warehouse may be found at http://www.fodac.org/clients/directions.php. “When disaster strikes, the citizens of the United States are among the most generous in the world,” said Brand. “Many of us want to do something tangible to help. If someone brings donated items to our warehouse within the next two weeks, they can feel confident that the items will be delivered into the hands of the Haitian people who desperately need them,” he said. Look for us on NBC Nightly News as they shot footage at FODAC’s Warehouse which they plan to air. 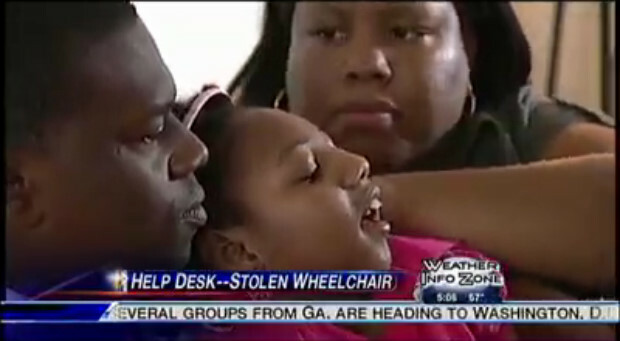 The organization was begun by volunteers who began refurbishing and giving away wheelchairs to needy Atlantans. With the financial support of Mount Carmel Christian Church, Friends of Disabled Adults was officially incorporated as a 501(c)(3) in 1986. Since then, the organization has grown to include a full-time staff of 22 and an annual budget of over $1 million. Chris Brand serves as Executive Director.